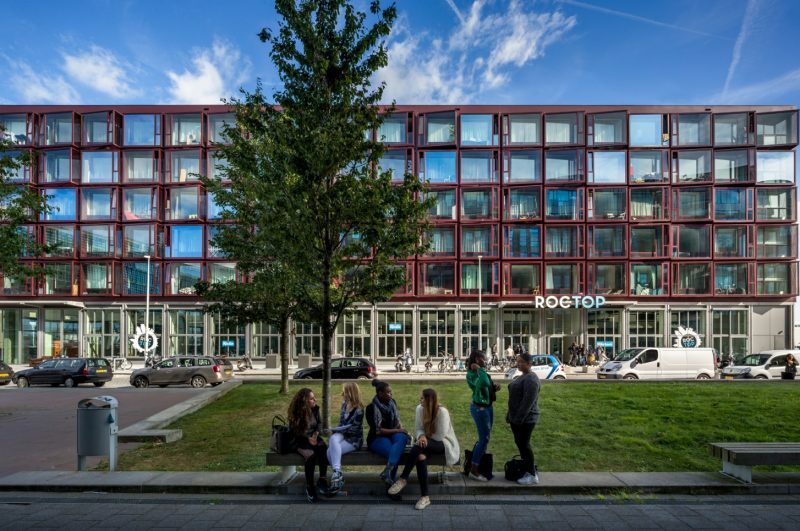 Since 2016, NieuwDok is home to the ROC TOP educational center and 380 student apartments at the NDSM wharf. 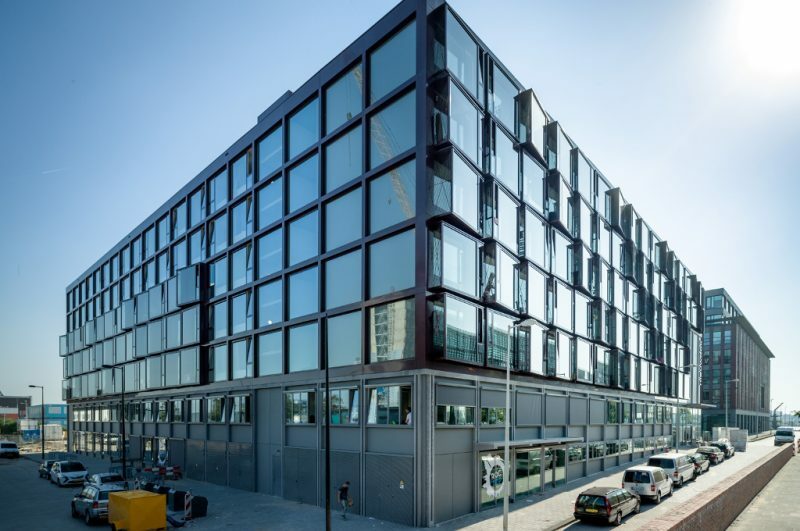 This academic and residential cluster is situated along the Kraanspoor, a 3-story building with over 10,000 m² of unique working space, and the Number One building. The combined function of the premises and the mix of ages from young to old work well at NDSM. It is a new and exciting concept in the area that emphasizes the truly dynamic nature of this unique piece of Amsterdam. 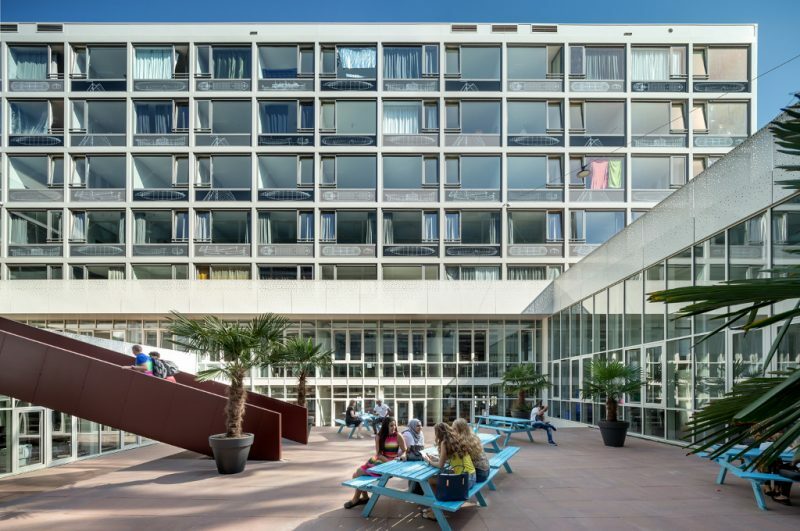 This is clearly visible in the NieuwDok building, completed by BMB Ontwikkeling (Amsterdam Waterfront B.V.) In the two lower levels of the building, different forms of education provide NDSM with a new social function. The five upper levels contain the 380 student apartments with several supporting facilities. Student housing agency DUWO manages the rental of these apartments. 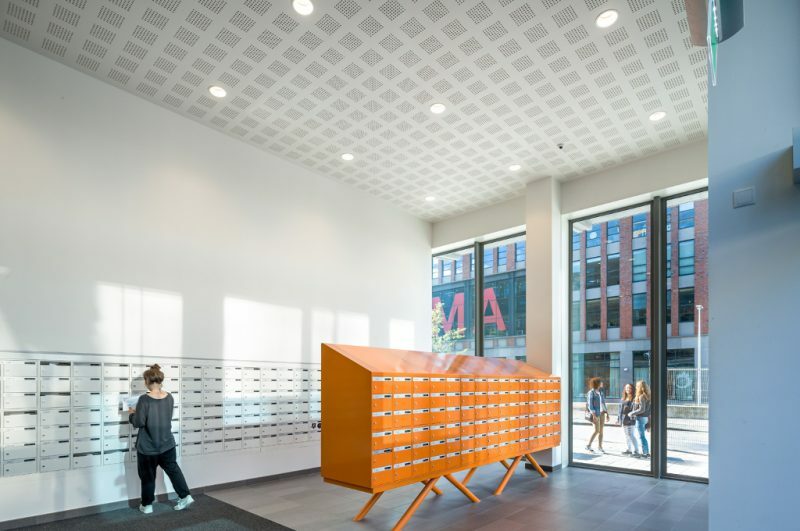 NDSM now makes it possible for hundreds of students to gain valuable knowledge and it has taken a big step towards providing modern, permanent housing for students. 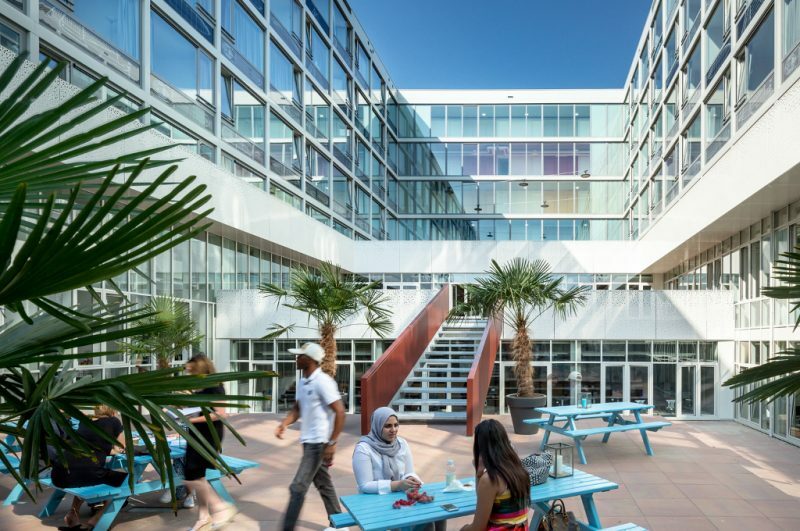 This transformation at NDSM has made it into not only a place that welcomes a whole new, young group of people, but also into a place that welcomes them home.